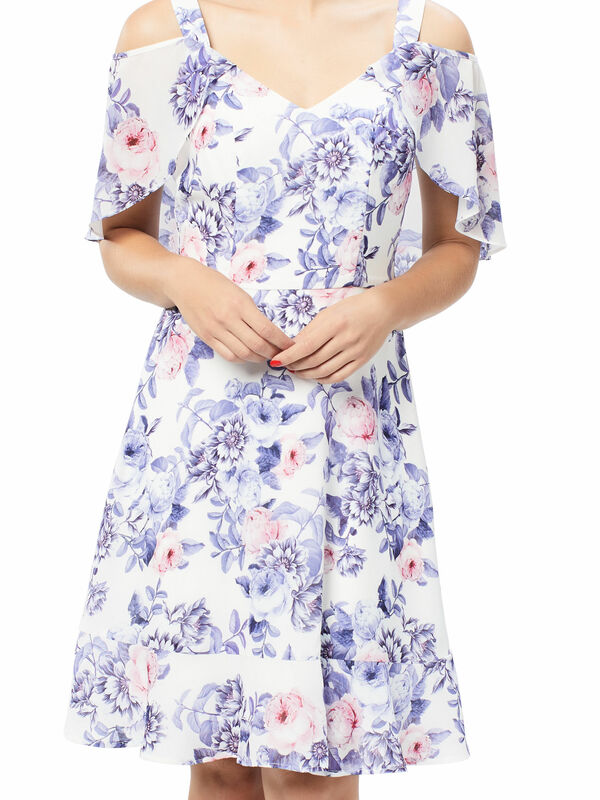 Montego Bay Dress https://www.review-australia.com/asia/montego-bay-dress-white/RE18DR180.REWHT033.html Float into a floral fantasy with the deluxe Montego Bay Dress. 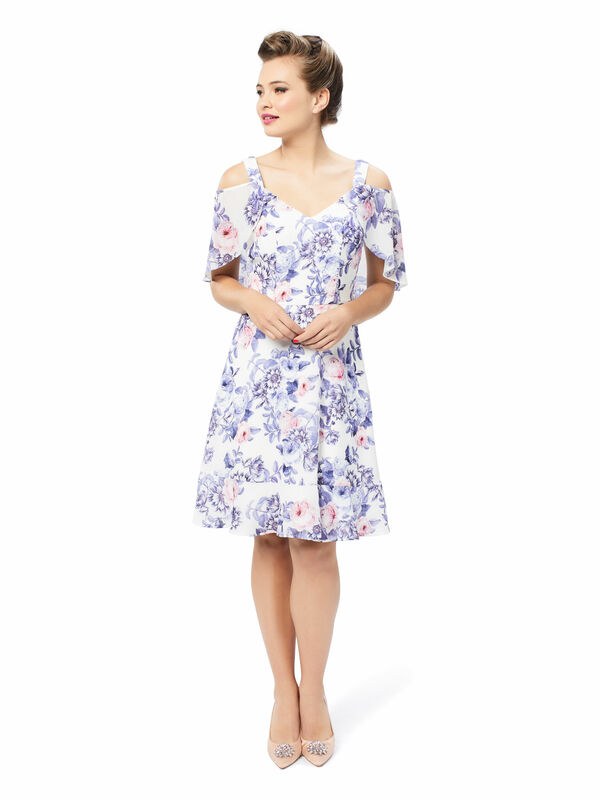 This flowy chiffon dress has a regular fit bodice and a relaxed floaty skirt. A sheer flutter cape panel over the arms and through the back creates a chic cold-shoulder effect. 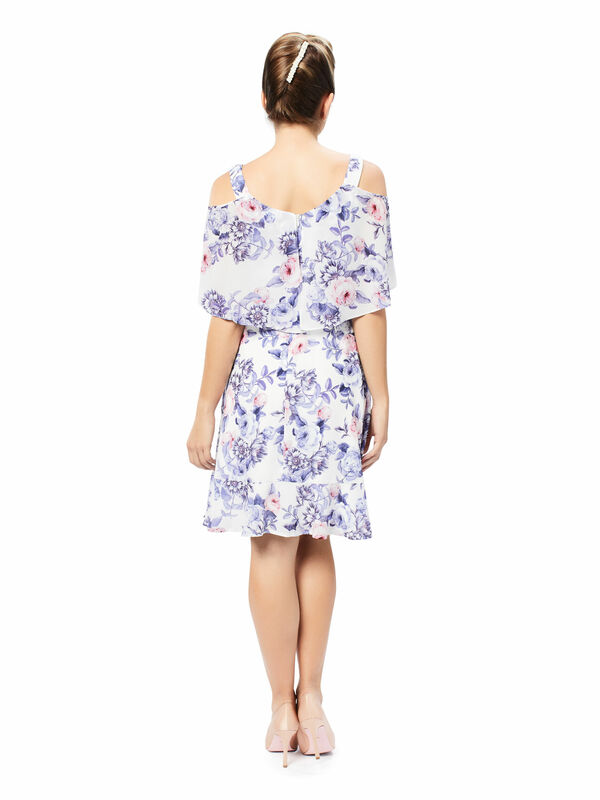 Finished with wide shoulder straps and a concealed back zipper. A pair of strappy sandals and pearl accessories finish this feminine look. Worn with the Darcy Pump Heel in Blush.